Celebrating their 15 year anniversary, Big Tomato Company are proud to announce the Classic 22kt Gold collection. As the name suggests, each mug in the range is hand-decorated with 22 karat gold on the inside rim and along the handle. Hand-decorated with 22 karat gold along the handle and the inside rim. 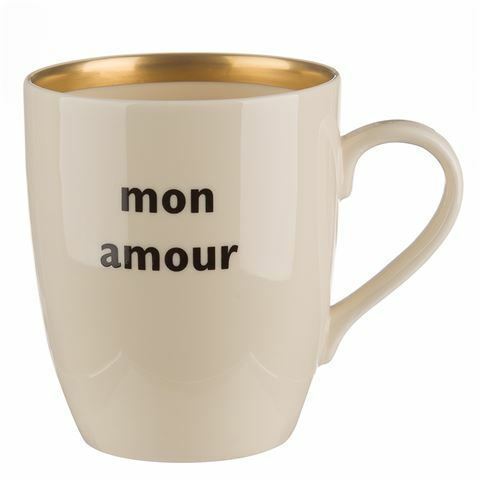 Features the phrase ‘Mon Amour’ along the body of the mug. Presented in a Big Tomato Company gift box.